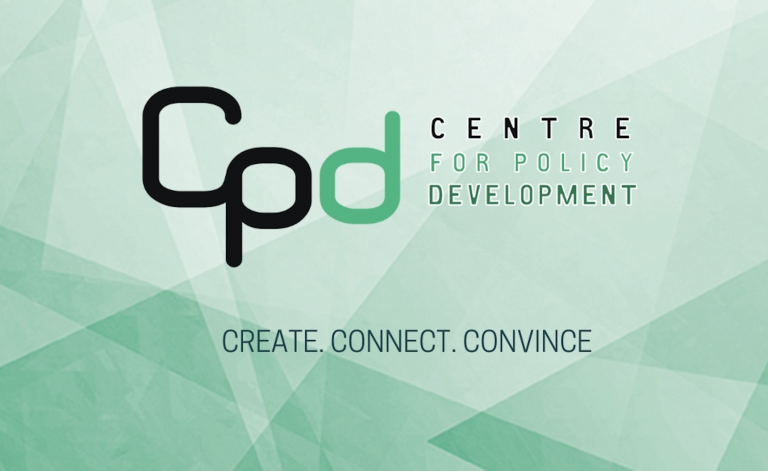 Today CPD has released an update of a landmark 2016 legal opinion on how Australian law requires company directors to consider, disclose and respond to climate change. 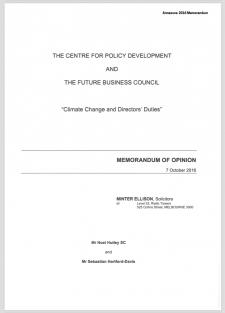 The original Hutley opinion, which we commissioned and released in 2016 after extensive consultation with business leaders and legal experts, found that directors who do not properly manage climate risk could be held liable for breaching their legal duty of due care and diligence. 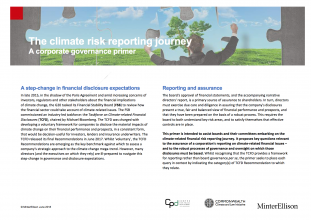 New reporting frameworks: The opinion highlights three major advances in financial reporting frameworks relevant to the disclosure of climate risk: the final recommendations of the Taskforce for Climate-related Financial Disclosures; new recommendations on assessing climate risk materiality from the Australian Accounting Standards Board and the Auditing and Assurance Standard Board; and updated guidance on climate disclosures from the ASX Corporate Governance Council. Investor and community pressure: The opinion notes that “investor and community pressures concerning climate risk are becoming more acute”, highlighting shareholder actions on corporate climate targets and disclosures and co-ordinated efforts by institutional investors to target improvements by major emitters. Advances in scientific knowledge: The opinion recognises “notable developments in the state of scientific knowledge that bear upon the gravity and probability of climate risks which directors need to consider.” These include comprehensive information and evidence presented by the IPCC’s 2018 special report on global warming of 1.5 degrees. Increased litigation risks: The opinion cites important developments relevant to litigation risks, including advances in “event attribution science” that can identify the link between climate change and individual extreme weather events. The full supplementary opinion, along with a CPD media release and other supporting documents are available below. 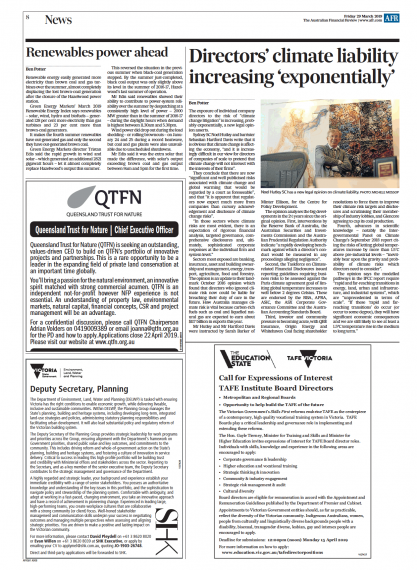 Climate change and the economy, speech by RBA Deputy Governor Dr Guy Debelle, March 2019. 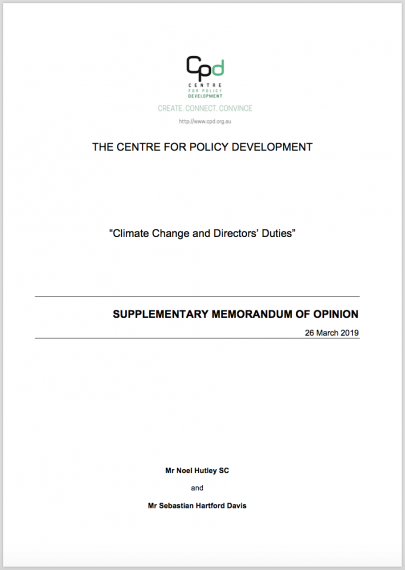 The original Hutley opinion and subsequent interventions on climate by financial regulators hosted by CPD have been part of a step-change in Australian responses to climate risk. 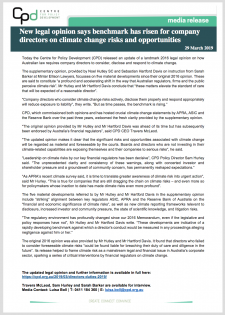 APRA has repeatedly cited the Hutley opinion as one of the key developments that have led the prudential regulator to demand more sophisticated and concerted responses to climate risk. Similarly, ASIC has emphasised that the Hutley opinion reflects its understanding of the law and reinforces the case for “probative and proactive” consideration of climate risks. 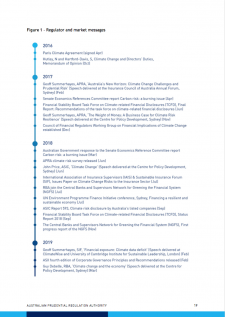 Public statements on climate risk by APRA, ASIC and the Reserve Bank – hosted by CPD in 2017, 2018 and 2019 respectively – have significantly raised awareness and expectations on corporate responses to climate risk, and demonstrated greater focus and co-ordination between regulators on this key challenge. 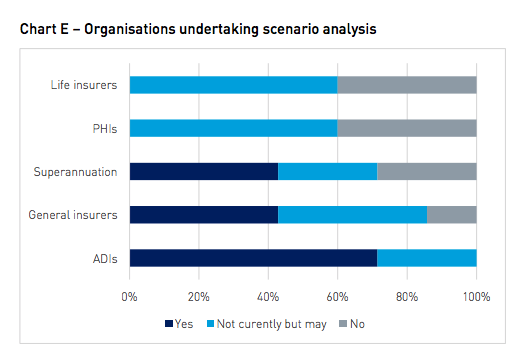 While understanding of the materiality of climate-related risks has increased in recent years, many leading Australian institutions are still doing far too little to analyse and disclose these risks and respond accordingly. The fact that climate risks are becoming more pronounced makes slow progress translating talk on climate risk into action all the more concerning. 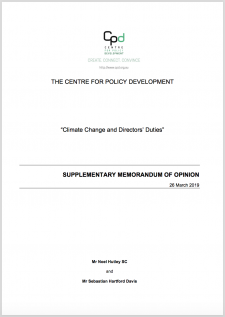 Since the original Hutley opinion was released in 2016, Australia’s failure to accelerate emissions reductions and a prolonged period of policy inconsistency and uncertainty have made climate risks more significant and have increased the prospect of larger and more abrupt impacts and adjustments in future. Australian policymakers should carefully consider the case for strengthening mandatory climate-related disclosures, and revisit other key recommendations from the Senate inquiry into carbon risk in 2017. In addition, the government should seize the opportunity to review directors and fiduciary duties on climate and other sustainability issues in the context of a much more sophisticated and strategic global approach to green and sustainable finance. While the legal position of directors is critical and climate-related disclosures are a key issue, it is also vital to recognise these developments are part of a much wider shift in expectations – at a global scale – towards more sustainable business, finance and regulation. 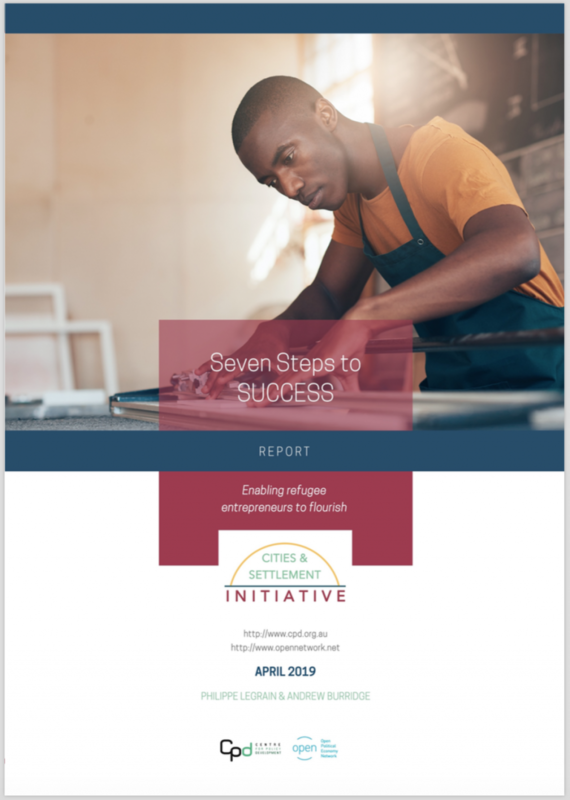 These shifts are creating major challenges and opportunities for businesses, regulators and ultimately policymakers. In many other parts of the world, including European Union, United Kingdom, Canada and New Zealand, issues like directors duties and disclosures are being considered as part of systematic reviews and action plans for sustainable finance which are seeking to seize this momentum and rewire financial and governance practices to deliver better long-term outcomes. 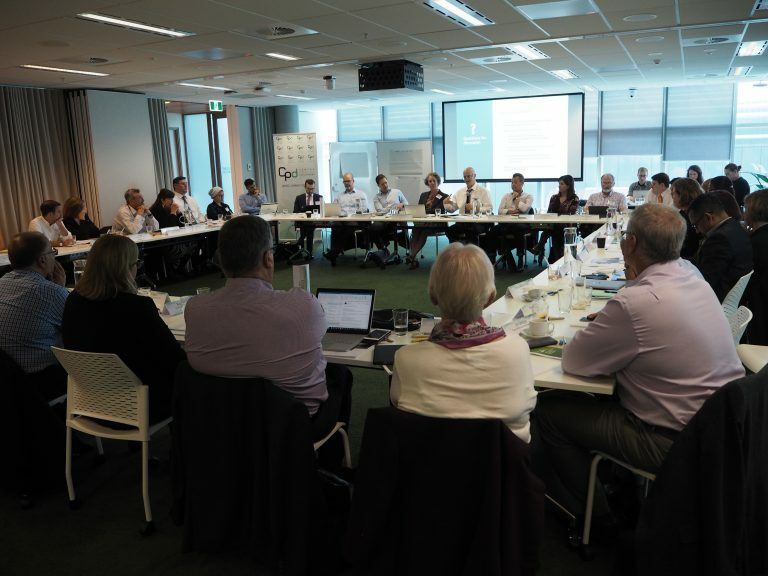 In Australia, representatives from major banks, insurance funds, insurers and industry groups announced this week that they have formed an industry-led Australian Sustainable Finance Initiative to provide a roadmap for realigning finance with social, environmental and economic goals. To get the best outcomes, it is critical that policymakers are also engaging directly with a rapidly-changing landscape on sustainable finance.